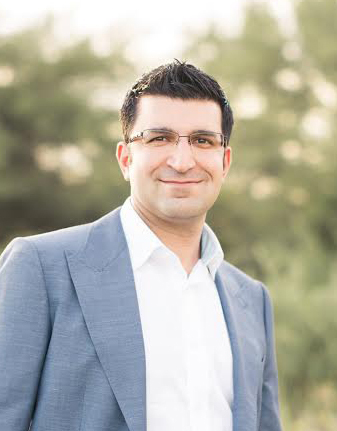 Dr. Ali Aminlari is a Board Certified Endodontist. He grew up in Rochester Hills and attended the University of Michigan for his pre-doctoral studies. He graduated from the University of Michigan School of Dentistry in 2004. He continued his education in Chicago at Illinois Masonic Medical Center treating medically compromised patients as a dental resident. Dr. Aminlari worked as a general dentist in Canton, Michigan for three years before returning to UofM to receive a Masters in Endodontics in 2011. Dr. Aminlari was awarded The Philip W Cohen Memorial Scholarship. This award is given to the graduate endodontic resident who most demonstrates dedication to endodontics and commitment to professional excellence. He strives to continue this commitment of excellence in private practice. Dr. Aminlari worked for 5 years as an endodontist in the Metro Detroit area until he opened A2 Endodontics in November of 2016. He has been featured in the Hour Magazine. He currently maintains memberships in the American Dental Association (ADA), American Association of Endodontics (AAE), Michigan Dental Association (MDA), and Michigan Association of Endodontics (MAE), as well as the Washtenaw District Dental Society (WDDS). He holds office positions in the latter two societies. He has been published in dental and medical journals and is an adjunct assistant clinical professor at the University of Michigan in the Department of Endodontics. Dr. Aminlari and his wife, Jennifer, live in Green Oak Township. Jennifer is a general dentist, working in the Fenton area. On his free time, Dr. Aminlari enjoys biking, skiing, and spending time with Jennifer and their 2-year old daughter, Soraya and their newborn son Ariyan.